The Canterbury region as defined in this entry consists of north and mid-Canterbury, Christchurch and Banks Peninsula. The regional council, Environment Canterbury, also takes in South Canterbury and Kaikōura. 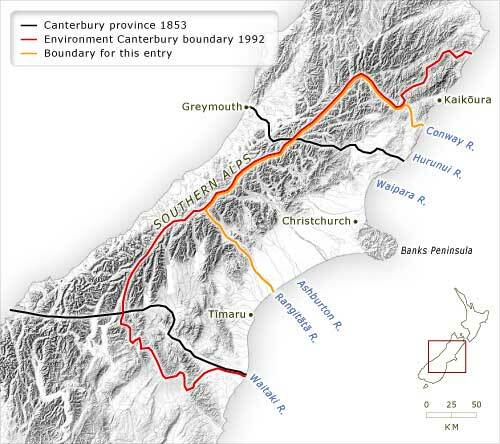 The Canterbury Province of 1853 included an even wider area: it stretched to the West Coast, and encompassed the area between the Waitaki and Hurunui rivers.